When most people think of the European country of Hungary, the first things that may come to mind are Hungarian cuisine (particularly paprika), the capital Budapest, horse riding and perhaps a tradition for romantic literature and renaissance architecture. Of course, these alone are good reason to visit Hungary. 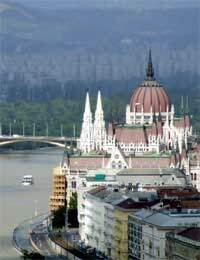 However, modern Hungary is a country with so much more than these famous cultural and historic staples. Everyday Hungarian life is still rich and varied, but perhaps doesn’t adhere to the more cultural stereotypes as much as one might expect. If you have plans to visit Hungary, it’s always a good idea to familiarise yourself with Hungarian culture and etiquette before you depart, whether visiting for business or pleasure. Hungarians can be reserved and perhaps appear contemplative on first meeting, but conversely they can also be more open when greeting in more social situations. Hungarians who are close friends or relatives typically meet by kissing lightly on each cheek, starting with the left. Cafe culture is a large part of Hungarian socialising, particularly in cosmopolitan cities such as Budapest. So you may find that when immersing yourself in Hungarian culture, you’ll be doing more meeting and greeting in the ‘normal’ way of kissing and greeting than you might be used to. You may have to adjust your perception of what is an appropriate amount of personal space. Hungarians don’t mind sharing personal space as much as other reserved cultures. In more formal circumstances, meeting and greeting is much more traditional, in that handshakes and maintaining eye contact are considered normal proper etiquette. Looking away or down might not be interpreted as shy, as it could come across as indifference or boredom. Consider that men should always wait for women to extend their hand first when greeting. Bear in mind that Hungarians are not adverse to a spot of ‘people watching’ and openly studying people around them. For instance, if waiting as a bus stop or on the train, don’t be alarmed if you appear to be a subject of interest for someone else! Hungarians tend not to be too explicit in the way in which they communicate their feelings to others. It can be more of a case of reading between the lines rather than plain speaking. However, you should also bear in mind that in Hungary, it is not considered bad etiquette to show a sensitive side or be expressive about your emotions. Obviously, outward bursts of emotion may be perceived as strange, but Hungarians are not ashamed to reveal their feelings, as it is considered as open and honest behaviour. If you’re invited to dinner in the home of someone in Hungary, the proper etiquette is to arrive promptly, ideally with flowers (not lilies, roses or chrysanthemums), chocolates or an alcoholic beverage as a gift for your host. In Hungary, it is common for many dishes to be prepared for meals. As a guest, the proper etiquette is to sample each dish. However, before you begin tucking in, your host may offer a toast first. Never start eating before your host, as this is considered bad manners and perhaps even greedy! It may also be polite to offer your dinner host a toast at the end of the meal.